To balance the light, there is there is the dark. And just as the guys were climbing spiritual mountains of ultra-bliss during 1999, another strand of their improvisation was growing more ominous and abstract. Phish’s ambient jamming of Fall ’98 focused primarily on the melodic side of things, with push-and-pull, amoeba-like interplay. In 1999, however, buoyed by the release of “The Siket Disc,” Phish’s abstract jamming—and overall sound—progressed in a much darker direction. The band grew an affinity for sonic layering and dissonant effects, developing what I have called their “millennial” sound. Favoring a drone and hypnotic style of play, Phish moved into their next mini-progression of the late-’90s. 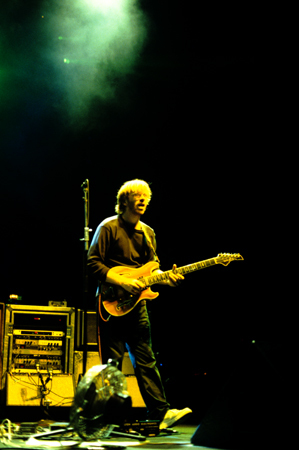 Within this context, Trey favored harder-edged guitar work, sheets of sound, and effect-laden soundscapes that veered from his center-stage soloing of years past. Beginning during Summer Tour while, largely, showing up within single jams, this “millennial” sound became more prevalent and nuanced as Phish moved through their Fall and Winter tours, often dominating the feel of sets and shows all together. Phish music was growing darker in both the downtempo and uptempo realms, a vibe that seemed congruent with the oncoming unknown of 2000 and beyond. 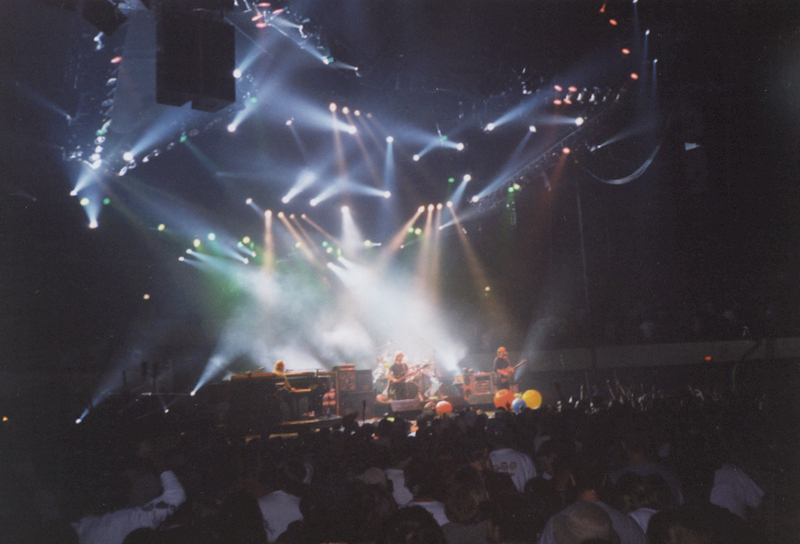 As the world crept closer to the turn of the millennium and a potential Y2k disaster, Phish provided an ominous soundtrack to a time filled with shrouded in mystery and speckled with hope. For today’s playlist, I picked a couple jams from each tour in ’99 so you can hear the progression of the band throughout the year. It had been six full months since we had seen Phish—the longest stretch of down time in Phish’s career up to that point. And the band greeted us with this 20-minute tour-opening “Bathtub Gin” that touched on their darker, ambient sound that would grow throughout the summer. This choice ’99 nugget is dedicated to RJ of Helping Friendly Podcast and our own Albert Walker. This clip seemed way too timely to ignore based on yesterday’s Twitter debates. The Oswego “Piper” covers a wide array of ’99-esque feels over a near-half hour, but most of all it is an example of how densely layered and hard-edged their sound had gotten to by the middle of the summer. This would be an example of the developing uptempo millennial jamming, without the pronounced dissonance of late Fall and Winter. This “Stash” was the first jam of Fall “99, in the first set of tour. A tale of dark magic, this jam had the venue buzzing at setbreak. This “Tweezer” moves from candy grooves into a seething section of abstract, millennial psychedelia. One of my top five “Ghosts,” Portland’s massive version moves through some hypnotic grooves into a section of abstract darkness. A first-set ambient-laced giant from the Knick. Having just re-spun this “Sand” yesterday, I was reminded of its quintessentially millennial qualities. A great example of a lot of what I have described. A dark horse piece of scalding, uptempo, late-99 jamming. Most thought the band was prepping the Mothership for liftoff, but they faked everyone out after a five-minute sound sculpture. This was the soundtrack to the Hampton reunion video..
After a high-quality Twitter exchange with TJ Scheu (@Lyfeboi) yesterday morning, I re-spun 7.10.99 from Camden, New Jersey, and developed a new strand of thought about one of the musical narratives of 1999. 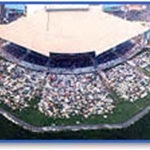 TJ asserted that “a huge thing happened” in Camden’s “Chalk Dust” that the band continued to build on and reference throughout the year. While I certainly knew that something huge happened in Camden’s “Chalk Dust,” I never, necessarily, put the jam in the context of its entire year. While listening intently to this all-time version in this way, I had an organizing thought: Camden’s “Chalk Dust” was the first signpost on the road to Big Cypress. Within the Camden “Chalk Dust” jam, Trey leads the band to a truly cathartic peak—one of those Phish moments that are hard to believe at the time and give you chills for the rest of your lifetime. It’s not just that the music is incredible—Phish has many virtuoso conversations—this jam is drenched in emotion, the likes of which you don’t quite experience in everyday life. The Jedi-like guitar work of Mr. Anastasio led to a sublime, whole-band arrival that invoked communal elation among the 25,004 involved. 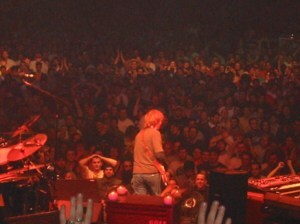 This musical theme of “soul emoting” or “ultra bliss” as illustrated by Trey, with the support of his bandmates, in this “Chalk Dust” jam, provided a narrative string that would carry throughout 1999. 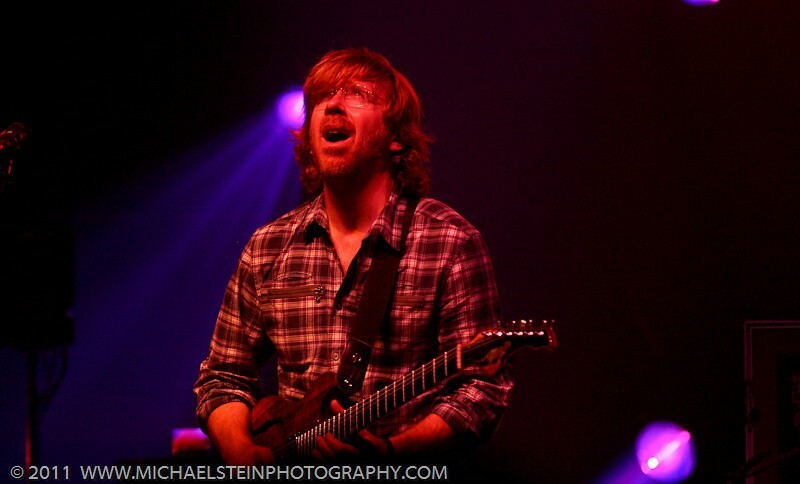 As his band set its sights on December 31st—the biggest night of their lives—Trey returned to this style of play throughout the year, expressing indescribable emotions through his guitar like only he can. I distinctly remember feeling momentum build throughout ’99, most distinctly through Fall Tour and the December run. Summer was fun, but once Fall started, it felt like a mission to the Everglades, one show at a time. 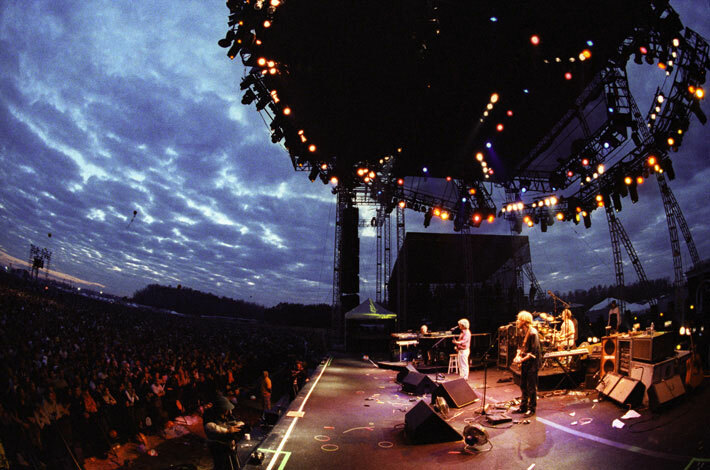 The anticipatory emotion, excitement and sense of wonder surrounding Big Cypress was palpable, and it increased each and every time the band took the stage during this momentous year. I can only imagine that if the fans felt this energy pulsing through themselves and the community during this time, that the band members felt it several times more intensely. In many ways, Phish’s entire career had led them to this point—the year of 1999 and the brink of the new millennium. In retrospective interviews, the band has openly discussed how after Big Cypress, the crest of the wave had broken. They weren’t sure what was supposed to come next and, not surprisingly, in less than a year, they’d be gone. I have assembled a playlist that follows this, largely, Trey-anchored narrative through 1999. While his style of “soul emoting” wasn’t a nightly occurance, it happened enough times to establish a legitimate pattern. The following jams become fully structured around this style of play, and represent the most significant examples from the year. Not all of these jams sound exactly the same, but they reach that special place and share a common emotional power that, I propose, came directly from their specific point in time for Phish. As Cypress crept closer, these jams waned in favor of darker, more ominous ones that emerged towards the end of fall and in December. Even at Big Cypress, the band tapped into the source with mostly different, far more relaxed feels, but the following pieces represent their building energy and incredible sense of purpose as they neared their date with destiny. Following a”Wilson” opener, Phish tore into this monumental jam—the first brick laid on the golden road that would end up in Alligator Alley. Brick two was unfurled only a set later in “Birds”—Camden “Chalk Dust’s” kid brother. Music that is as glorious and emotive as any ever played. By anyone. The final “Tweezer” of the Summer, performed in the shadow of Mt. 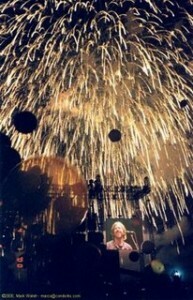 Fuji on the “Field of Heaven,” certainly illustrates Trey’s emerging “soul emoting” of ’99. This household jam needs no introduction, but when looked as a part of this larger narrative, it becomes even more poignant. Towards the beginning of Fall Tour, this second set opener brought the audience to a dizzying plane of catharsis in the middle of the warm California desert. On a side note, can we please go back to Coors Amphitheatre as soon as possible? This dark-horse Fall ’99 jam elevates about halfway through and never looks back. Raleigh’s to-die-for “Tweezer” represents an intersection of December’s slower, heavier and more ambient style with the “ultra-bliss” feel established during the summer months. Perhaps the most iconic jam that came out of Big Cypress, this “Split” represents the culmination of this anticipatory musical narrative on the road to Big Cypress. 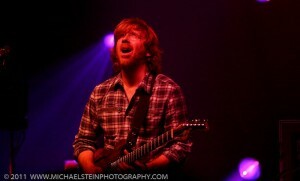 In this piece, Trey is speaking directly from his soul hours before the biggest night of his life. You can, literally, hear the excitement, relief and relaxation in Trey’s guitar tone in this jam—he is so happy to have finally arrived on the stage he had been looking towards all year long. All the pressure had been lifted, and this “Disease” provided the portal into a night that nobody present would ever forget. The very first song of summer blossomed into a 20-minute, ambient-laced affair. This jam took place while an impending storm zeroed in on Nashville. Once the band splashed into the following “YEM” jam, the skies opened and the place got hit with a deluge. The last jam of the US tour from the final set of Deer Creek. A second-song monster from Virginia Beach. A scorching, mid-set rendition from Lakewood. This set-closing combo punctuated of Phish’s quick stop north of the border. Possibly the only Summer ’99 “Ghost” that isn’t well known at this point. Mike anchors the band with outlandish rhythmic calisthenics from the get-go in this first-setter. An exploratory beast that came amidst a heavy-hitting second set at Polaris. This “Bowie” closed the first set of July 4th on its highest point before Phish came out and threw down a monster second. This groove-centric “YEM” capped one of my favorite start-to-finish sets of summer. In the wake of the devastating earthquake and tsunami that recently hit northeastern Japan, yesterday Phish announced the official release of 7.31.99‘s iconic performance from the Fuji Rock Festival’s Field of Heaven as a benefit for the Japanese people. The show will be remastered by Fred Kevorkian and released in both download and CD formats, with all proceeds going to Peace Winds America. All funds collected for disaster relief will go to support operations through their sister organization, Peace Winds Japan. Relief operations are currently underway in Miuyagi Prefecture, where Peace Winds is on the ground providing food, clothing, medicines and temporary shelter to survivors. With an inevitably abrupt transition, let’s now take a look back at the show selected for release. 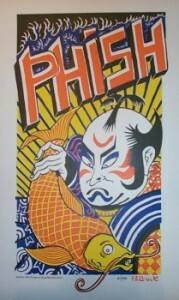 Right after the their US Summer Tour concluded in Deer Creek on July 26,1999, Phish hopped across the Pacific Ocean to make their first appearance in Japan at the Fuji Rock Festival in Niigata. And ever since the 40 minutes of “2001 > Bowie” traveled from the Field of Heaven back to America, this show has been one of legend. One of the finest “Bowie’s” of the late-’90s built into an intricate psychedelic beast in the intimate wooded setting of the Field of Heaven. And coupled with a smoking and extended ’99-style “2001,” this segment has lived in lore since it happened. But there are other treats in this show as well. First and foremost, late in the second set Phish played one of the greatest versions of “Prince Caspian” of their career. The usually uplifting song reached a whole ‘nother level on this night, and the result was nothing short of astounding. Carrying a far slower pace than usual—a characteristic that defined all of Phish’s playing at open-air Field of Heaven—the band patiently built one “Caspian’s” most cathartic versions. With searing guitar licks amidst a laid-back groove, Trey screamed from his soul through the entirety of this majestic highlight. Mike and Page joined in the climactic jamming while Fishman framed the piece with an unusually slow and dramatic beat. Following this all-time “Caspian,” Phish stepped right into “Fluffhead,” maintaining the triumphant feel of the latter part of the night. One last explosive peak on this signature set gave way to a “Squirming Coil” denouement. And even the encore included something special. Before any song started, Tibetan monk Nawang Khechog came on stage to discuss human rights in Tibet. When he was done, Khechog performed a meditative piece with on a traditional horn with Fishman on vacuum, and then joined the band on wooden flute for “Brain and Robert.” The show finished with an experimental jaunt though “Simple” as Trey built his solo into furious sheets of sound over the band’s mellow textures. Morphing into to a searing-turned-ambient-turned-rocking jam, the band never stopped bringing IT until the show’s final cymbal crash. The first set is no slouch either, highlighted by a gorgeous “Limb by Limb,” a tar-thick “Free” and a particularly snarling version of “Character Zero. 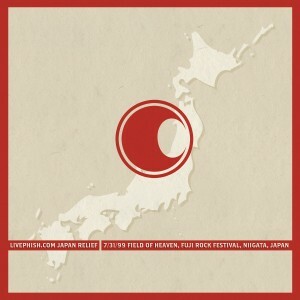 Needless to say, the band was on all night—and all weekend—at Fuji Rock. It’s great to see Phish using their music for a good cause, but it seems like a odd move to choose a show that widely circulates in soundboard fashion to generate donations. (Some believe it to be a pristine audience recording.) While I am sure Kevorkian’s treatment will juice up the recording and provide a considerable upgrade, why not drop something completely new from Phish’s Japanese exploits—specifically Summer 2000? Aside from the already-released gem from Drum Logos in Fukuoka (6.14.00), the band played several other monster shows during that tour—an awesome run that represented their last full-on gasp of creativity before slowly winding down over the rest of summer and fall towards Shoreline. Why not drop the Tokyo “Tweezer” and the On Air East show (6.9.00) or the Zepp-Osaka tour-closer (6.16.00) and its next-level “Runaway Jim?” And there are also stellar options in between, such as Zepp-Tokyo (6.10.00) and The Big Cat in Osaka (6.15.00). Despite all these choices however, the organization definitely chose a stellar show for remastering; a gorgeous portrait of Summer ’99. I just hope, for charity’s sake, that as many people buy the upgrade as would a brand new show. The expected release date of the download at LivePhish will be April 15th. The expected ship date of the CD from Phish Dry Goods will be May 10th, though pre-orders are being taken now through both sites. In the past, charitable downloads at LivePhish.com have raised over $100,000 for four non-profits: the Harbor House of New Jersey (The Headphones Jam), the New Orleans Musician’s Clinic, the New Orleans Jazz and Heritage Fund (Katrina Relief) and the American Red Cross (Haiti Relief). 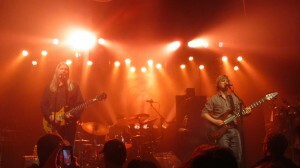 Additionally, the Mockingbird Foundation receives funding on an on-going basis from the proceeds at LivePhish.com. 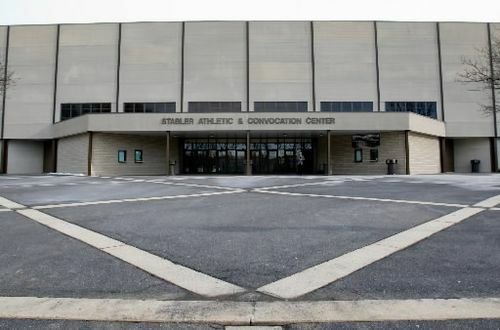 Phish wound their way down to Raleigh on December 16, 1999, and after their performance at Reynolds Coliseum on campus at North Carolina State University, only two shows separated the band and their millennial destiny. 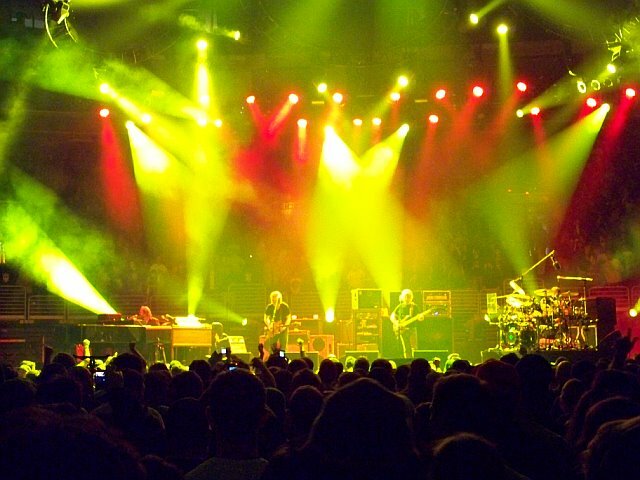 On this night 11 years ago, Phish threw down a show that would top Hampton’s next two, featuring a pair of December 99’s defining jams in the second set. 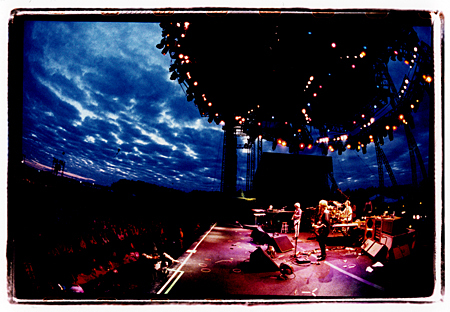 Opening the set with “Sand,” the song of the tour, this version blossomed into, perhaps, the most impressive until Big Cypress. A colossal excursion filled with layers of sonic manipulation, this version brought together many of the ideas presented in “Sand” throughout the tour. 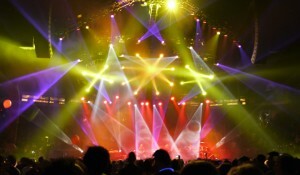 The initial section — an eerie bass-led soundscape — featured more effects that Phish used during all of Fall 2010. 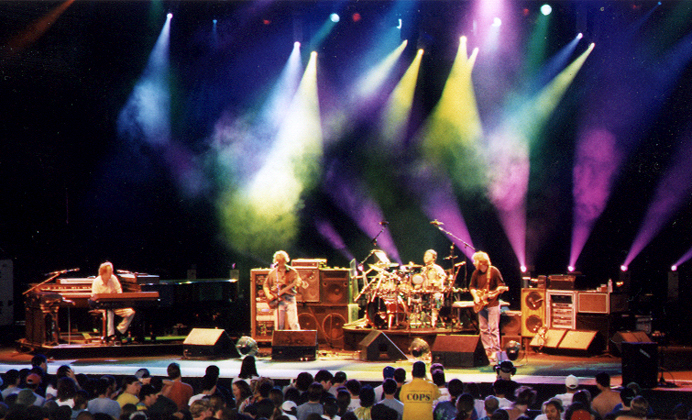 Stirring this psychedelic cauldron, the band brought the jam to a lead-less rolling boil before Trey got onto his keyboard to offer a sense of guiding melody. 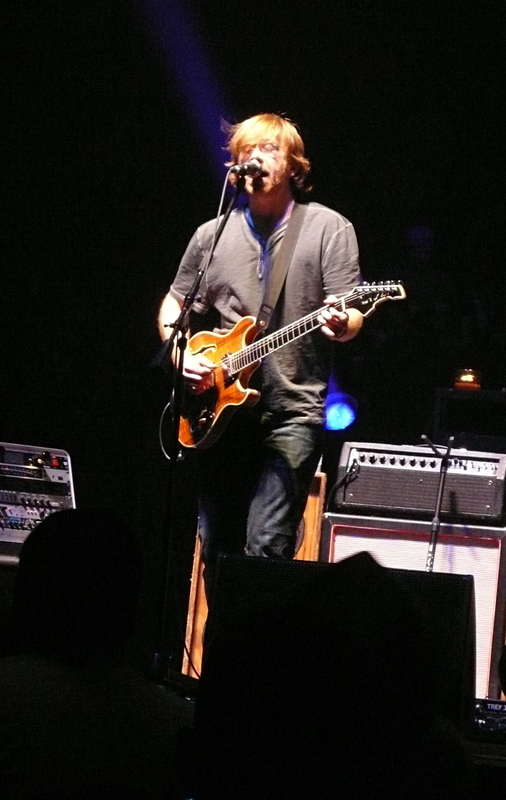 Building off his work in Washington, DC’s “Free” from the night before, Trey laid down a more complex, hypnotic melody that infused the sinister jam with swagger. Toying with this layer for some time, he then got onto guitar and improvised around the identical melody he had just created on keyboard. Turning into a showcase of apocalyptic groove, Page offered piano retorts to Trey’s seething lines, while Fish and Mike annihilated the bottom half of the music. Morphing his notes into dissonant melodies and then abstract phrases, Trey joined his band mates in creating a wide-open wall of psychedleia. Easily the most listened-to “Sand” in my collection, this version provided a perfect snapshot of Phish as they headed for the their all-night trek into 2000. The second set of Raleigh started with “Sand,” and peaked with this millennial journey into the stratosphere. Setting the jam at a menacing pace, Phish used its initial section to, specifically, craft the drone backing for their musical conversation. Upon a mini-build, Mike burst onto the scene with a section of lead-bass acrobatics that got the jam moving in earnest. And then Earnest came in. Offering the perfect compliments to Gordeaux’s monster statements, the entire band locked a series of slamming ’99 grooves before taking the jam to a place of calm. Out of this brief respite, Fishman switched into a delicate rhythm nd Trey joined him with short, accented licks that pushed the music in an original direction. 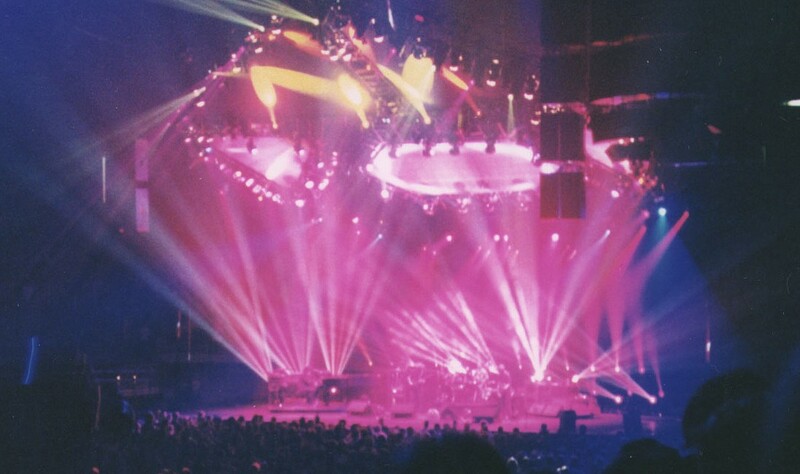 As Page and Mike hop joined this groove, one of the most magical sections of Fall ’99 Phish emerged. Taking a cathartic climb out of the dark and dissonant, the band gradually built into a soul-searching “Slave” jam that retained aspects of the grungy backdrop. A blissful sequence that peaked with passion and descended back down into abstract layers of sound, this “Tweezer” provided one of those out-of-body experiences that are only possible when Phish is tapped into to the universe’s greater powers. Since I haven’t mentioned the first night of Lake Placid — 12.16.95 — here is the show’s most significant jam. The following night would blow this one out of the water. The first show of Fall ’94 goes out as a reader request for Henry Gale — or so he says. Today we find ourselves on the anniversary of a couple very Phishy shows. In addition to the Cumberland County ’95 show, this date brought two monsters in 1997 and in 1999. These two nights in Rochester and Philly were both instant fan favorites of their respective tours, and both are vibrant illustrations of where the band stood at that time. Happy 12.11! First, let’s circle back to a cold and dreary winter day December 1997. Phish was on the brink of finishing their now legendary fall tour. On the heels of a monumental Midwestern weekend and a stop at State College, Phish pulled into the Rochester’s War Memorial Auditorium, a room that hosted the Grateful Dead on several occasions. The show proved to fall right in line with Fall ’97’s colossal outings featuring one of the best second sets of the month. The night opened up with the energetic three-song combo of “Punch, Disease > Maze.” “Punch,” one of the great openers in the band’s catalog, set the table on this night for a phenomenal “Down With Disease.” Within this upper-echelon excursion, Phish tore apart the song’s thematic jam for ten minutes before slowing down into syrupy rhythms that quickly brought the music to a far deeper place. 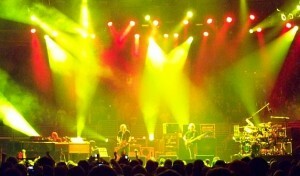 From this juncture forwards, it grew quite apparent that Phish was tapped into greater energies on this evening. As the piece developed, Trey began to solo with a menacing musical scowl while the band dropped into a dripping groove around him. This now-famous “Disease” became a significant tour highlight mere minutes into the first set. 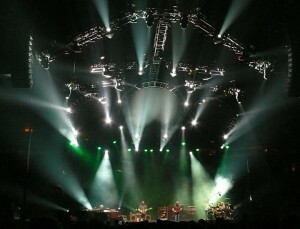 Phish flicked the switch on early in the night, and it remained locked in position for the duration of the evening. This mind-bending improvisation continued throughout the standout second set. Phish quickly upped the ante with a twenty-minute “Drowned” opener that immediately sat among the heaviest, most creative, and darkest slices of psychedelia dropped during the tour. After jump-starting the show in shredding fashion, the band put the pedal back to the metal as soon as set two began. About halfway through “Drowned,” the band gradually moved away from the song structure into original improv. Moving from uptempo ferocity into slow and murky textures, this jaunt, all of a sudden, became a lot more interesting. For the duration of the piece, the band explored eerie musical planes with the patience and precision of a surgeon, methodically juxtaposing the two halves of the jam. As Trey layered infectious licks over a thickening groove, this jam soon tramsformed into an ambient affair with loops and effects galore. Giving the crowd exactly what they needed, this “Ghost” leaped onto the top shelf of all-star versions in a standout year for the song. 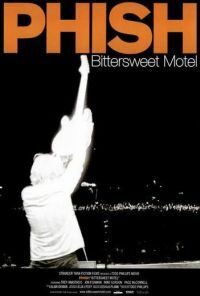 Providing the show with a much needed release of flowing Phish grooves, the band took liberty in precisely ripping the only “Fall ’97 funk jam” of the night – another factor that made Rochester so unique. A seamless “Disease Reprise” emerged out of this multi-dimensional odyssey, artistically closing the musical ideas sparked at the beginning of the show, and bringing the evening full circle. When Phish came back to The Spectrum for the second consecutive night in December ’99, they had a little redeeming to do. After a botched transition from “Have Mercy” back into “David Bowie” the night before, the band bailed on the idea in full and awkwardly moved into a Fishman interlude of “Cracklin’ Rosie,” all but killing the momentum of the set. The band stumbled to the finish line with low-energy versions of “Twist” and “Waste,” but what a difference a night can make! 1999’s version of December 11 presented, arguably, Phish’s strongest outing of their climactic December 1999 tour. Opening with “Harry Hood” for the first time in almost ten years (1.20.90), the twenty-minute version let everyone know they we were in for a treat! Expecting a breather to follow the intense “Hood,” Phish brought “Mike’s Groove” – ya’ gotta’ love it! 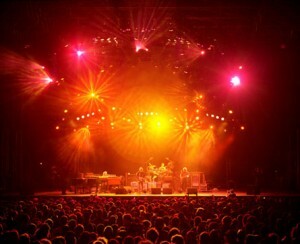 Giving the “Groove” full treatment, the band migrated from the evil soup into “Simple” then “Hydrogen” before closing the segment with a smoking “Weekapaug.” After a reflective moment in “When the Circus Come to Town,” Phish leapt into Gordon’s rarity, “Scent of a Mule”- all in the first set! The Spectrum buzzed loudly during setbreak with the feeling that set two would be extraordinary. And it was. In one of the tightest sets of 1999, Phish destroyed their classic Philly haunt with a frame of celebratory segues and pure dance madness. If you liked to move at Phish shows, then “Sally > Ghost > 2001 > Disease” provided the perfect soundtrack. Packed to the hilt with dense Phish grooves and a complex ambient build before “2001,” this sequence stood on par with any music that reared its head in ’99. 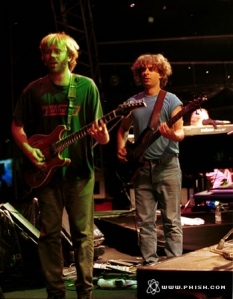 “Ghost” and “2001” were both top-notch versions, and the latter space odyssey spun The Spectrum with the ease of Medowlark Lemons, Spaldings and “Sweet Georgia Brown.” The entire segment totaled 55 minutes of pure Phish crack; one of those unquestionably special sets that everyone agreed upon when it ended. 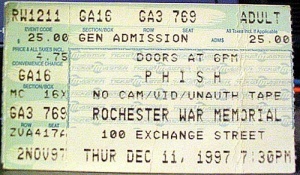 An incredibly well played show comprised of almost all improvisation, December 11, 1999 was an unforgettable night. One can hear the crowd roaring on the tapes, responding to the full-on Phish carpet bombing all night long. 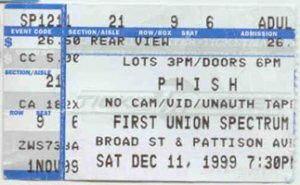 A night of beauty in a the City of Brotherly Love, December 11 brought, perhaps, Phish’s greatest performance in The Spectrum (with 12.15.95 as the only contender). The darkest chunk of the night kicked off with a scorching “Crosseyed,” which carried a melodic progression throughout the jam, and peaked with a percussive 40-minute apocalyptic grooves of “Sand > Quadraphonic Toppling,” bringing the many climactic late ’99 versions to an unquestionable head. Resolving this darkness with a multi-tiered “Slave,” the band commenced the jam without even a beat remaining until it became time to move. Phish let is all hang down on this night, playing a macrocosm of any regular show, we all finally had a place to be instead hallucinating in hotel rooms until the sun came up. Perhaps the most connected piece of music came in the depths of the evening, as the band brought a reprise of “After Midnight” into one of the most hallowed musical passages of their career – set and setting considered. Powerful, soulful, music, channelled from the ether, where every note mattered as much as the next. The final peak of the night came as the sky began to turn a dark grey, foreshadowing the oncoming day. 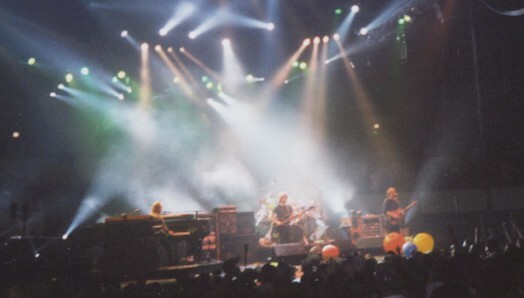 Phish sat into “Roses Are Free” for one of few times since their epic Nassau adventure in April ’98, but never had they again transcended the composition. But when they unshelved the song on the brink of dawn to bring in the millennium’s first sunrise, everyone knew this time would be different. Moving right out of the song into multi-faceted epic, the band passed through several planes of ambient, melodic, and, finally, deeply dark and churning music. The ultimate stage seemed as though the universe’s final plates were shifting into alignment for the onset of the new era. Before the sun began to rise in earnest, the sky boasted stunning patterns of pink puffy clouds that nobody who witnessed will ever forget. Phish and the forces were at work again, this time collaborating on a soundtrack for the passage of time. And while that is what the entire night represented, the entry back into morning’s light boiled down to the second-only “Roses” jam. Here’s the epic piece that brought darkness into the dawn of the millennium, and a sampling of the newly circulating Cypress FOB source, taboot. Aside from all of the significance Miami ’09 posed for the future, it also hailed as the ten year anniversary of Big Cypress, the culmination of Phish’s career at that point, and the most profound night of music in the band’s history. Phish, themselves, have said they didn’t know where to turn when they stepped off that stage – what could possibly top that? December 30, and more specifically, December 31, 1999, represent holy days in the annals of Phish history. The band channeled a greater energy as time turned into 2000, through a night of musical perfection. Y2k madness overtook America, except in the swamps of Florida, where things transformed into an experience of a lifetime. Rumors swirled earlier in 2009 about a return to The Everglades for an anniversary weekend, but landing close by in Miami had nobody complaining. Throughout the weekend, Cypress memories flooded our minds and conversations, and I’ve got to imagine the band’s as well. As friends and I sat on the beach listening to the Cypress “Roses” as the sun rose on December 31, an incredible synchronicity existed as morning broke into the spiritual anniversary. Ten years later, who would have predicted we’d be in Florida again with Phish to ring in the next decade? But there we were, recalling the unmatchable majesty of that weekend a decade ago in our lives, while living new memories. Throughout the four Miami shows, Phish made musical reference to the festival more than a few times, but the following moments seemed to be clear nods to the band’s legendary millennial performance. Among the many colossal jams of the all-night set, none were more ominous than “Sand’s” forty-minute apocalyptic groove clinic. In the depths of the evening, the band went on a culminating rhythmic trek, bringing the stellar run of late-’99 “Sands” to a outlandish peak. With sinister licks and millennial sheets of sound, Trey let loose over thick layers of groove. Reaching sublime portions of improv and morphing with the ambient-melodic “Quadrophonic Toppling,” the Cypress “Sand” is the consensus best-ever, as far as conversations I’ve ever had. Interestingly, when the band opened the the 30th’s second set with “Sand,” the style of jamming resembled a millennial feel, albeit a bit toned down. Gnarling guitar leads grew more abstract as the piece developed, evoking memories of ’99s dissonant psychedelia. While clearly not in the same ballpark as the Cypress version, Miami’s bust-out of “Sand” likened a collective memory of a night long ago while soaring into the future. 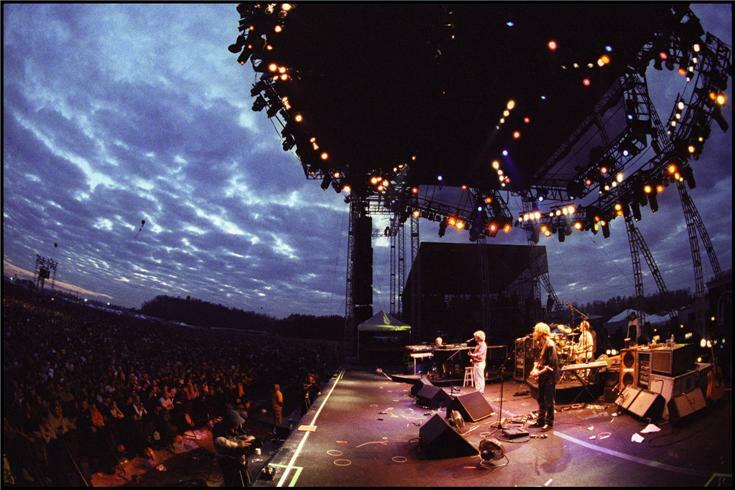 Played out of nowhere on December 30, 1999, in the opening set of of the weekend, Phish broke out the “Corrina” for the first time in ten years at Big Cypress. 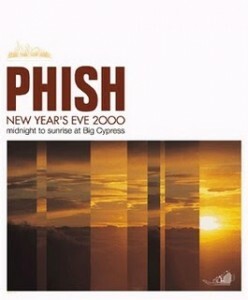 Though they played the song twice within the “aughts,” the bust out of the traditional cover on the 30th in Miami – ten years to the day – seemed like obvious evidence that Phish had Cypress on their mind. A staggeringly beautiful rendition showcased the band’s enhanced soul and lyrical ability, as well as their nuanced improvisation that characterized the New Year’s Run. At this mature stage of the game, “Corrina” sounded more natural than ever coming from the band. While Phish may have played “Disease” at midnight one way or another this year, its inclusion in such an allegorical weekend had significance any way it’s sliced. Inserted in the iconic slot after “Auld Lang Syne” – exactly as it was ten years earlier – “Disease” brought in the New Year for the first time since our spiritual sojourn in the swamps. 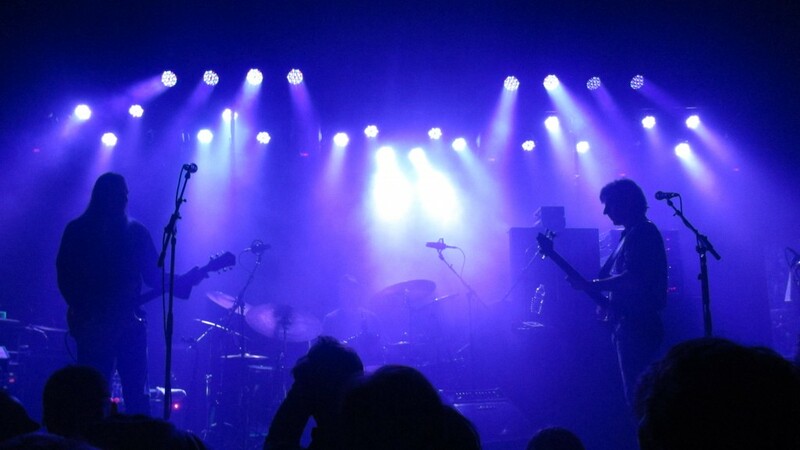 One of the band’s career-defining anthems, “Disease” re-emerged in 2009 as a central launchpad for Phish, and its midnight placement acknowledged its role in 2009 as much as anything. Featuring the band’s first great jam of the era in Hampton, “Disease” has been one of the most consistent pieces of improv last year. 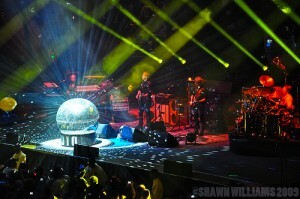 As the life-sized disco ball sat center stage, shooting a million beams of light around the arena, and oversized balloons danced to the celebratory rhythms, all had come full circle. 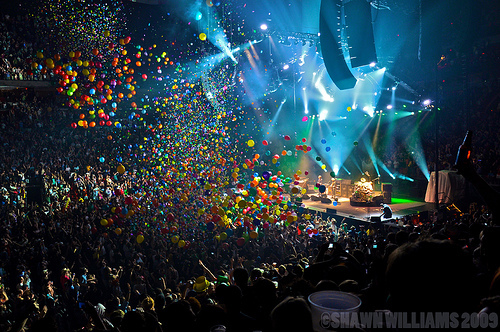 We were once again careening into the future with the Phish from Vermont. A fierce chunk of darkness amidst the first set of the run. 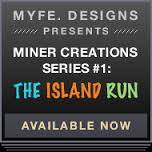 Here is an alternate Schoeps source for the Miami run from taylorc to go along with padlimike’s recordings. Everyone hears things differently, so download both, and take your choice. I find these to be a bit of an upgrade with a thicker bottom end that really pops; some very full-sounding recordings. You can use this week’s “Jams of the Day” to sample this source. Powered by WordPress v 5.1.1. Page in 1.100 seconds.